A relaxed fitting, shirt dress is the epitome of effortless chic. 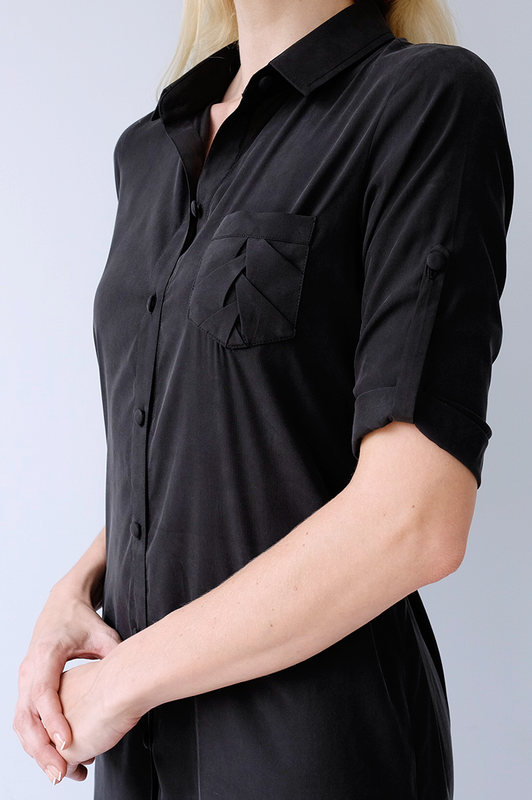 The Olympia shirt dress has the ER Couture signature braid at the small bust pocket and fabric covered buttons. Wear it as a classic shirt dress or open over skinny jeans and a turtle neck. Please find the measurements for ER Couture women’s wear below. Use this chart to discover the best size for you. You can compare with common national sizing and our conversion in centimeter and inches. Not your size? We offer tailor-made garments for the same price. Please arrange a time with our tailor to take your measurements.